And hence, it is superficial; it doesn’t last, it can’t be trusted & so shouldn’t be idolized or desired. This is the puritanical view of beauty. Is it really so? I have been reading Ashwini since 19th Augusut 2011. That makes it for over four months now. How do I remember the date so well? That is because the first post that I read that day on her blog got published in the The Hindu a month later. I remember feeling so happy & proud that day even though I had just started reading her, was still one of her new readers. The connection as "blog friends" happened eventually & when she asked for a guest post, could I have said No? NO! @Akshay: your comment had gone to the spam folder! so missed responding to u earlier. We think alike...i have always believed that beauty is physical first and everything can follow later. but one should be presentable. I firmly believe that to be comfortable with a person i need to be comfortable with his/her looks. Until and unless i talk to someone, i will not know about his/her nature and to talk i need to be atleast ok with the looks. sujhata em so happy I know you both.Ashwini is a sweet fellow blogger and one of the few people who followed me..
abhi jao & apne blog pe mere comment pe respond karo. :))) my husband says i am a task manager. i am , ain't I? It's good to see you writing guest posts. Keep writing and cheers!!! You have a simple way of conveying a powerful message or triggering a thought! We all tend to rationalize our irrationality through some philosophical or moral grounds. And you brought that out beautifully! Well written. But I don't agree that a woman is looked down if she is attracted to a man...I am not sure if it is true. 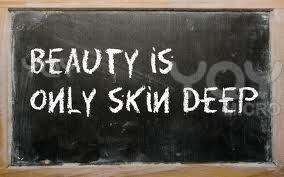 I agree definition of beauty varies. You have nailed it! I am not regular , After reading this , I do remember the last post i read of yours (long time back) and it only made me respect you. Time or not , I will be regular now! I definitely echo you and your views! I had that subtle connection with many girls. In fact while i was in my teens and traveling for college was the time I used to do quite a lot of things. I always sat behind the conductor (two-seater) because I had always seen girls coming and sitting there. There came those one-liners , a smile and what not! No relation to this post , Sorry! Coming to the point , There are few women I find quite attractive , although I have not seen them. Just the way they write , you get to know a lot of class about them.Again my perception and my look up for things. I have never ever(almost) lost a chance to applaud if I find someone attractive. Just had been to kerela , The women in those sarees were indeed beautiful and serene. By the way i like this picture of yours , dont like yellow much but you have carried it well. Yup, some things need not be rationalized. Only seen,felt, experienced & enjoyed. Like Nature. @A: 'a man' is ok. "men" is not. esp when we are vocal about it. Read the post and is very well written. I have no problems in complimenting someone who looks good and like you said it is their genes and what counts is the character. I must say I know a lot of good looking people who are beautiful on the inside too. Most of the men find all women beautiful..it is average looking women who are jealous of good looking women.Anyways they say "Only The ones who have can flaunt".Beauty brings joy!!! m i supposed to post my comment here? ok absolutely loved ur post. everything u wrote is based on logic. see that's the advantage of being honest :), there is no false pretense and you know what u r saying. Well analysed and well written post.. Completely agree that beauty lies in the beholder's eye. @Anand: mindset of a third world !!!? hahah that's sweet! but is that even a word? ?